Earlier this week, the IRS issued a warning to taxpayers regarding a fraudulent email that has been impersonating the agency. The email includes tax transcripts, in an attempt to get the users to click on the documents, which contain malware. The biggest risk would be employees clicking on these emails on company networks. By doing so, the malware would spread network-wide. According to KLFY News 10, this malware, known as Emotet, generally poses as specific financial institutions in its effort to trick people into opening infected documents. This time, they’ve portrayed the IRS. Cybersecurity experts have labeled Emotet one of the most costly and destructive malware variants in the wild. Do not open the email or attachment. Delete or forward the email to phishing@irs.gov. If an email goes to your business, notify the company’s technology professionals. The bottom line – the IRS does not, and will not, send out unsolicited emails. Therefore, if you receive an unsolicited email claiming to be from them– do not open it, it is a scam. WannaCrypt is a ransomware program targeting Windows. On Friday, 12 May 2017, a large cyber-attack using it was launched, infecting more than 230,000 computers in 150 countries, demanding ransom payments in the cryptocurrency bitcoin in 28 languages. It was being spread primarily by phishing emails (most commonly links or attachments) and as a worm on unpatched systems. The attack affected Telefónica and several other large companies in Spain, as well as parts of Britain’s National Health Service, FedEx, Deutsche Bahn and LATAM Airlines. Other targets in at least 99 countries were also reported to have been attacked around the same time. WannaCry is believed to use the EternalBlue exploit, which was developed by the U.S. National Security Agency (NSA) to attack computers running Microsoft Windows operating systems. Although a patch to remove the underlying vulnerability for supported systems (Windows Vista and later operating systems) had been issued on 14 March 2017, delays in applying security updates and lack of support by Microsoft of legacy versions of Windows left many users vulnerable. Due to the scale of the attack, to deal with the unsupported Windows systems and to contain the spread of the ransomware, Microsoft has taken the unusual step of releasing updates for all older unsupported operating systems from Windows XP onwards. Shortly after the attack began, a researcher found an effective kill switch, which prevented many new infections and allowed time to patch systems. This significantly slowed the spread. It was later reported that new versions that lack the kill switch were detected. Cyber security experts also warn of a second wave of the attack due to such variants and the beginning of the new workweek. As always, be sure your Windows is up to date. XP users should consider upgrading where possible. The vulnerabilities for that operating system will not go away. Don’t click links in an email. Don’t open file attachments. And, our longest running advice; back up regularly. You can back up to the cloud, or another drive. Programs like Macrium Reflect can Image your drive essentially restoring everything at any time. Massive Ransomware attack going worldwide. We have an update on this outbreak here. The ransomware is using an NSA exploit leaked by The Shadow Brokers, and has made tens of thousands of victims worldwide, including the Russian Interior Ministry, Chinese universities, Hungarian telcos, FedEx branches, and more. Original article below. A ransomware outbreak is wreaking havoc all over the world, but especially in Spain, where Telefonica — one of the country’s biggest telecommunications companies — has fallen victim, and its IT staff is desperately telling employees to shut down computers and VPN connections in order to limit the ransomware’s reach. The culprit for these attacks is v2.0 of the WCry ransomware, also known as WannaCry or WanaCrypt0r ransomware. For those affected, you can discuss this ransomware and receive support in the dedicated WanaCrypt0r & Wana Decrypt0r Help & Support Topic. Version 1.0 of this ransomware was discovered by Malwarebytes researcher S!Ri on February 10 and then spotted in a brief campaign on March 25 by GData security researcher Karsten Hahn. Version 2.0 was detected for the first time around four hours ago by independent security researcher MalwareHunter. The security researcher says the ransomware came out of nowhere and started spreading like wildfire. In these first four hours, WCry 2.0 made more victims than Jaff, a ransomware spotted this week distributed via the Necurs botnet, the former home of the Locky ransomware. In numbers, in just four hours WCry made 1.5 times more victims than Jaff did all week. Currently, researchers weren’t able to pinpoint the exact origin of the WCry distribution campaign. At the moment, it could be from malvertising, exploit kits, email spam, or hand-cranked RDP attacks. Yahoo reported a breach that occurred in August of 2013 and affected 500,000 members. 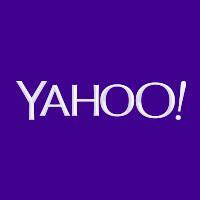 Yahoo is now reporting a second breach that has affected an estimated 1 billion users. The breach included birth dates, names, hashed passwords, email addresses, telephone numbers and, at least in some cases, security questions and answers, some of which were encrypted. “It appears thus far from the publicly disclosed information that this is resulting from privileged unauthorized third party access. This has been a common source of many of the data breaches this year,” Carson said.